I’m not sure where the connection between Valentine’s Day and chocolate came from (The Aztecs? Mr. Cadbury? Whoever makes heart shaped boxes? ), but I’m not the least bit upset about there being one. I’m usually on the receiving end of the tradition and it’s exactly where I, and my sweet tooth, want to be. Over the years a variety of Valentine’s Day chocolates have passed by my lips, all from an entire box of milk chocolate cream centers to a 5 lb. 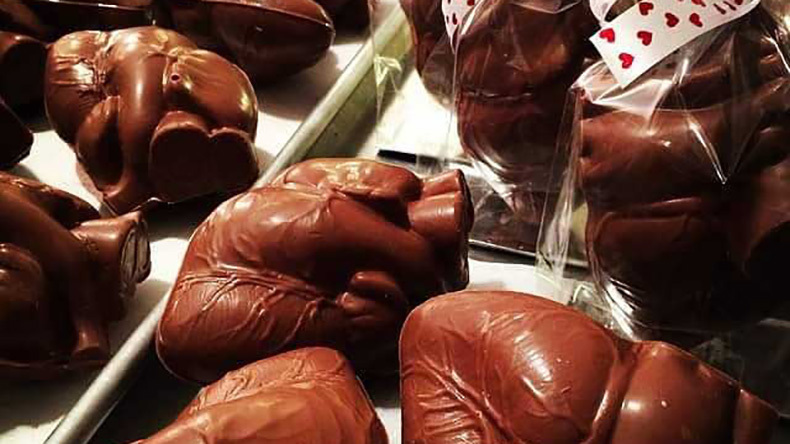 chocolate heart with my name on it to a bag of individually-wrapped dark chocolate truffles from a national retailer. I know my chocolate. Nothing says “Our Hearts Beat As One” like giving your Valentine an anatomically-correct 3-D heart. Nothing. While a 5 lb. 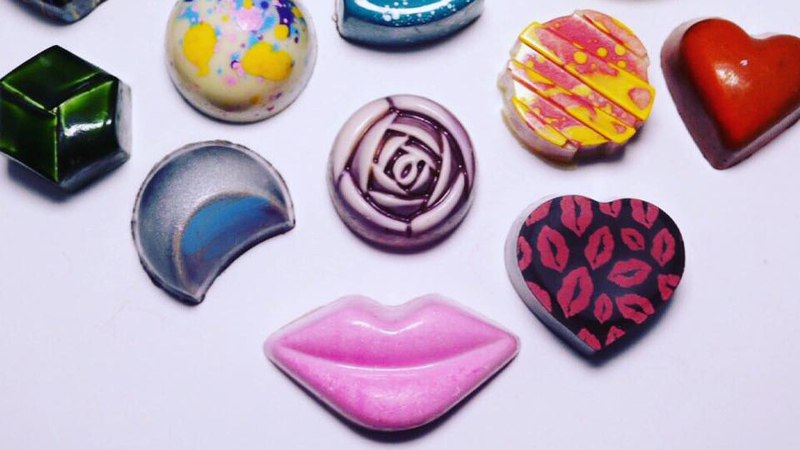 chocolate heart can be appealing, a decadent truffle is proof that size doesn’t always matter. Pick up a 6-pack of Vanilla Hibiscus or Passion Fruit truffles and your sweetheart will appreciate your attention to quality over quantity. Some of Blue Table’s sweets, like the Tropical Collection (cherry/lime coconut & pineapple-lemongrass) are even vegan! 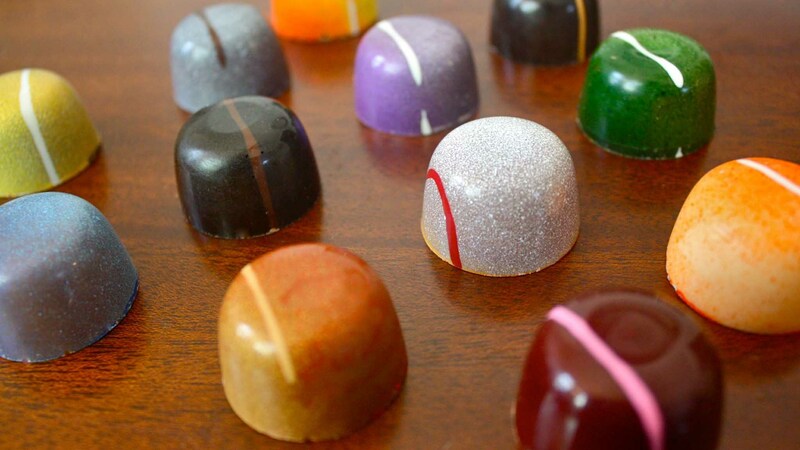 Show some 716 pride with a chocolatey treat that bears the name of your favorite city! Buffalo Bark is cashews, pretzels and pure butter toffee coated in milk & dark chocolate, topped with a milk or dark chocolate buffalo. How do you measure love? How about with a smooch? 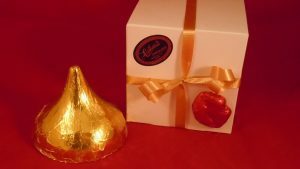 Give a little bit of love or a lot of love this Valentine’s Day with these solid chocolate smooches. For the who makes your dreams come true, this chocolate sampler includes sweets with unexpected twists like birthday cake, coconut rum, matcha, passion fruit, salted caramel, Earl Grey tea & wildflower honey, dulce de leche, caramelized hazelnut, raspberry chambord, Grand Marnier, Mexican hot chocolate, and espresso. 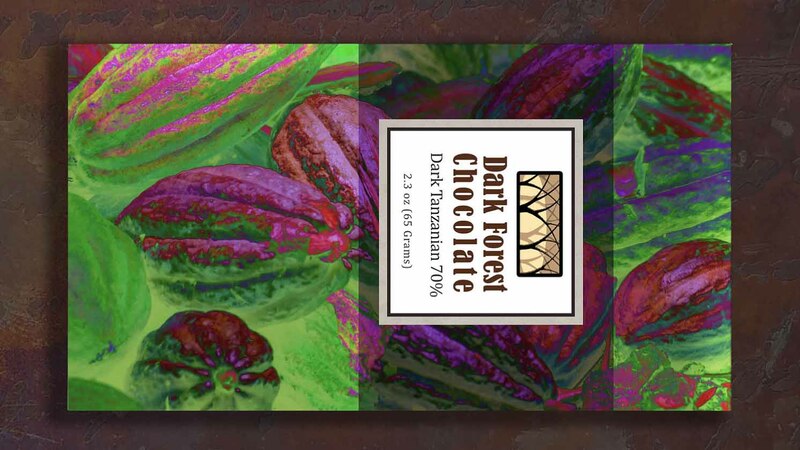 If you or your S/O are dark chocolate lovers, these extremely pure, ultra-fresh high-quality organic cacao beans bars use only all-natural ingredients. Admit it. Nobody really likes those things in their regular state – tiny, chalky and flavorless. The only thing we loved about them was being about to say “Call Me” to our best friend in 4th grade. 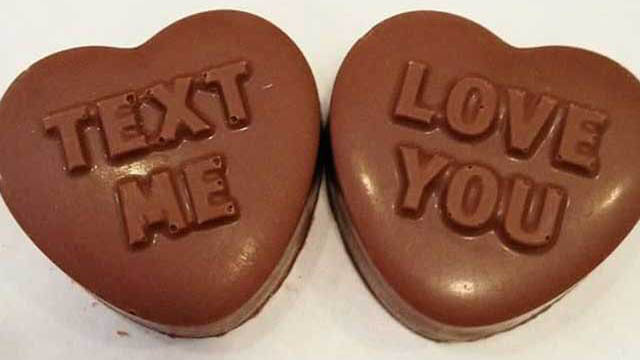 Fast forward to today and conversation hearts have gotten a face-lift. Goodbye chalky, hello chocolatey! For the gluten-free love of your life, you can still give some of the sweetest pastries around. 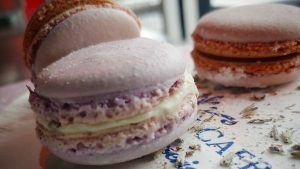 Classically trained French pastry chef Camille Le Caër, prepares uniquely flavored macarons daily (including chocolate!). They couldn’t be any more perfect! Buffalo’s signature confection is tried and true. 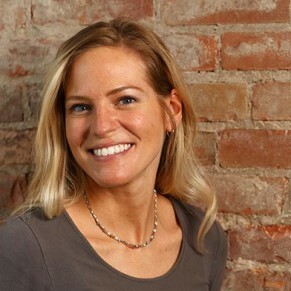 Its longevity in the Buffalo area should be what all of our loving relationships strive for. 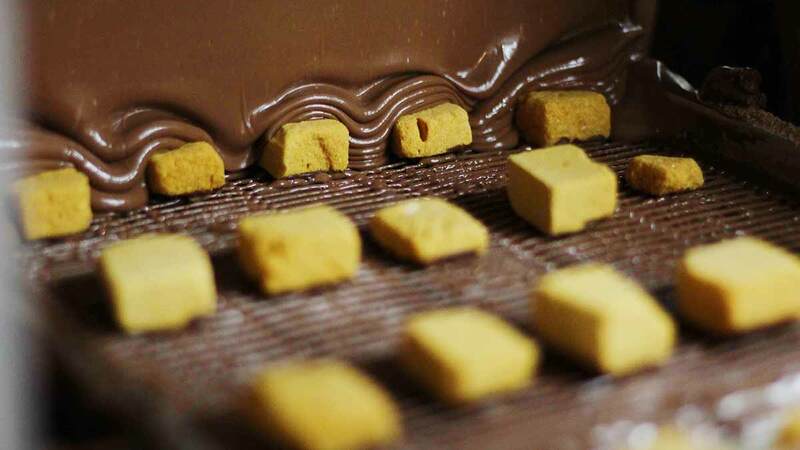 You give the gift of sponge candy, you give the gift of long-lasting love. WHERE – Watson’s Chocolates, Fowler’s Chocolates, Antoinette’s Sweets, Wahl’s Candies, Parkside Candies, Bella Mia Candies, The Family Chocolate Shoppe, Ko-Ed Candies, Mike’s Homemade Candies and all shops mentioned above. PRICE – You can’t put a price tag on love. Just buy it.